Lot # 54: 1956 Mickey Mantle, "One of Boys in the Locker Room" Triple Crown Season! 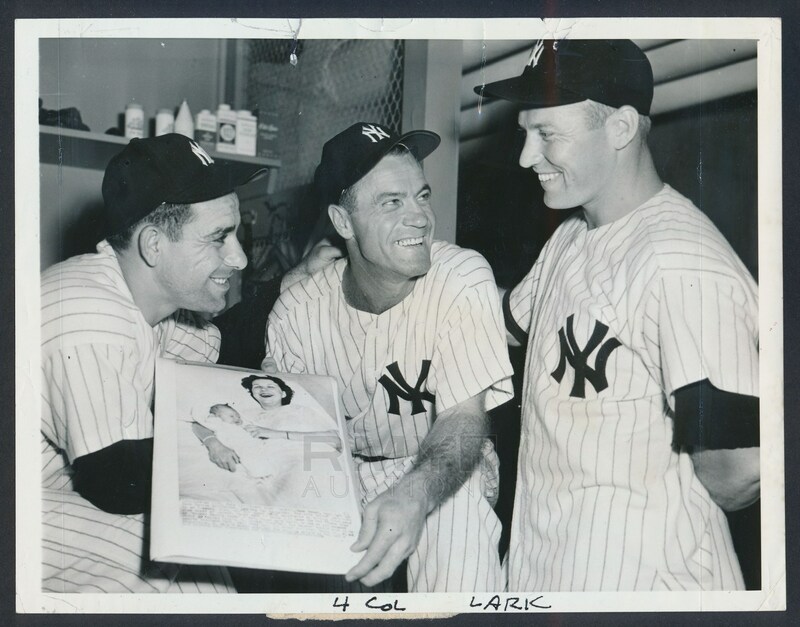 1956 Photograph of three of the stars of the New York Yankees as they gather in locker room during Mickey Mantle's triple crown season. A special day as Hank Bauer celebrated the birth of his son 12 years to the day after his brother was killed in WWII! Also included in the image is Yogi Berra joining Mantle and Bauer. 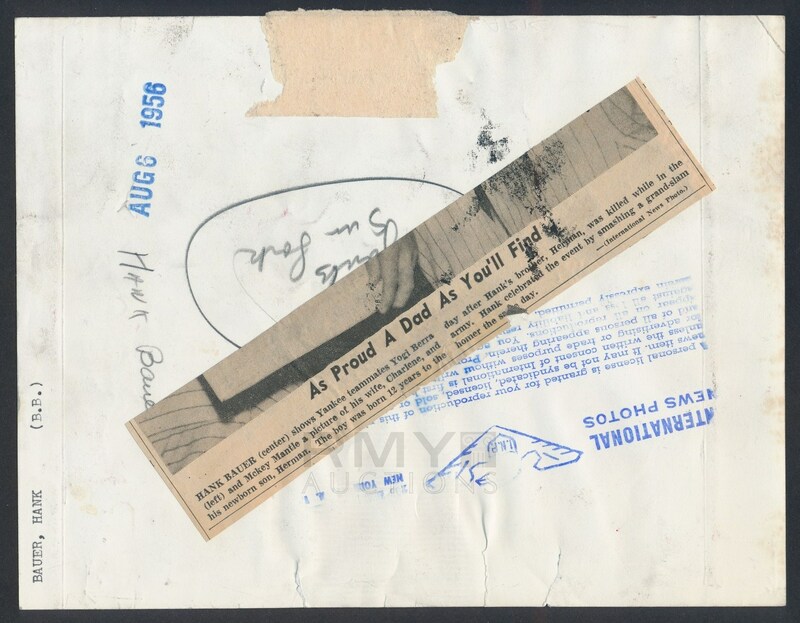 Issued by the International News and stamped on the back, the photo is crystal clear and presents well with some obvious wear at the top.